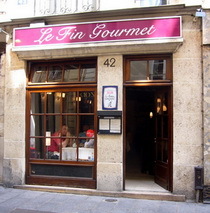 Le bistro est mort. Vive le bistro! 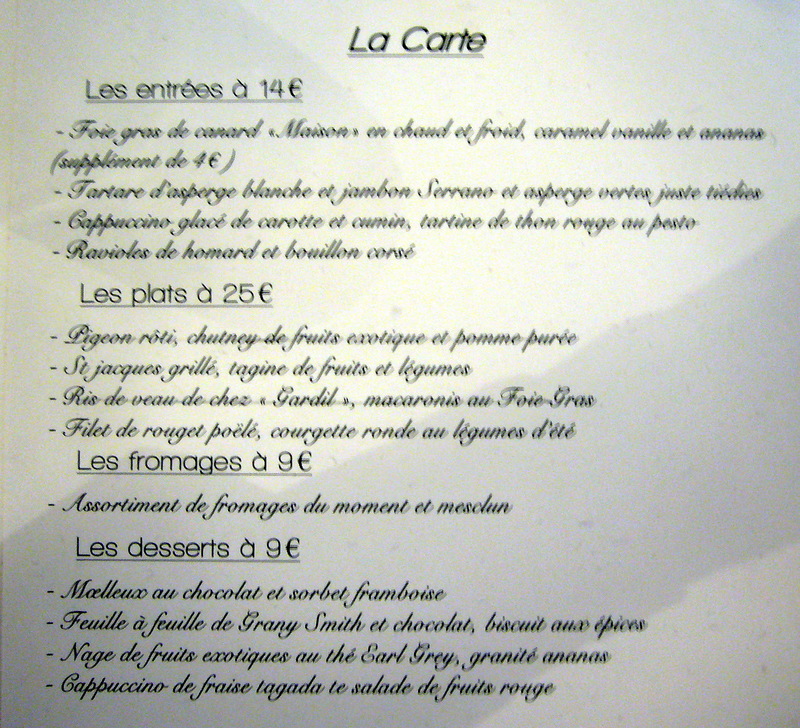 Setting out to lunch at LeVieux Bistro in the shadow of Notre Dame, I discovered that it had gone to cater for the Great Gourmet in the Sky. In its place was yet another pseudo-brasserie with a big freezer. Hoping that some modest but agreeable bistro might survive on the Ile-St-Louis, I crossed the bridge and set out along its main street. 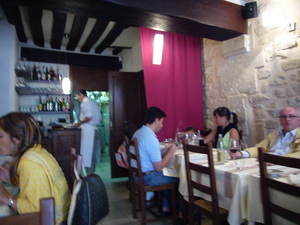 A couple of promising places offered only complete set menus at inflated prices. 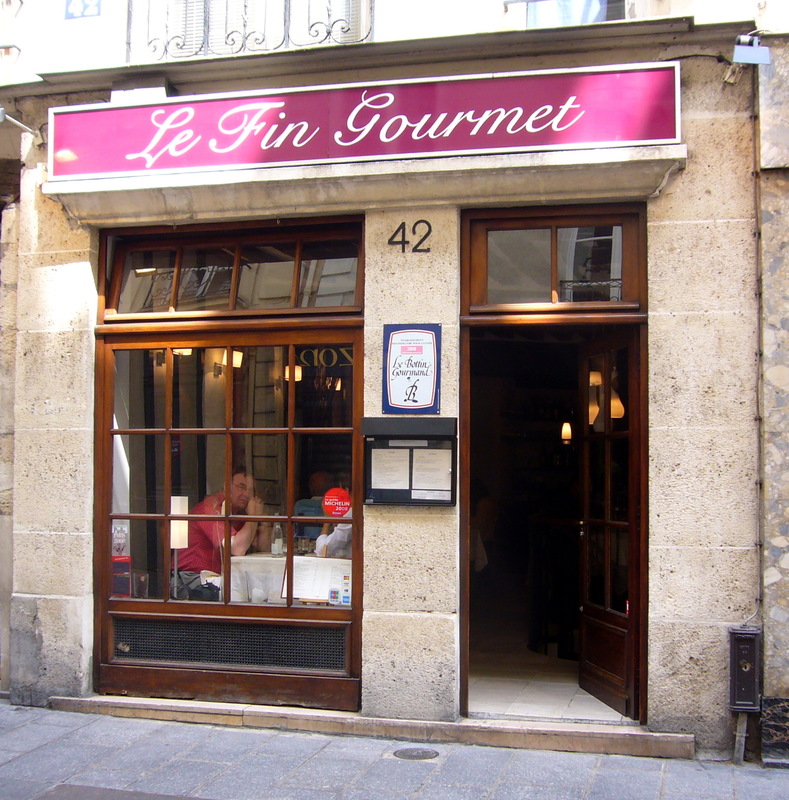 Finally, near the end, I found the old Gourmet de l’Isle in its reincarnation as Le Fin Gourmet, still an elegant modern establishment housed in a mediaeval vault. 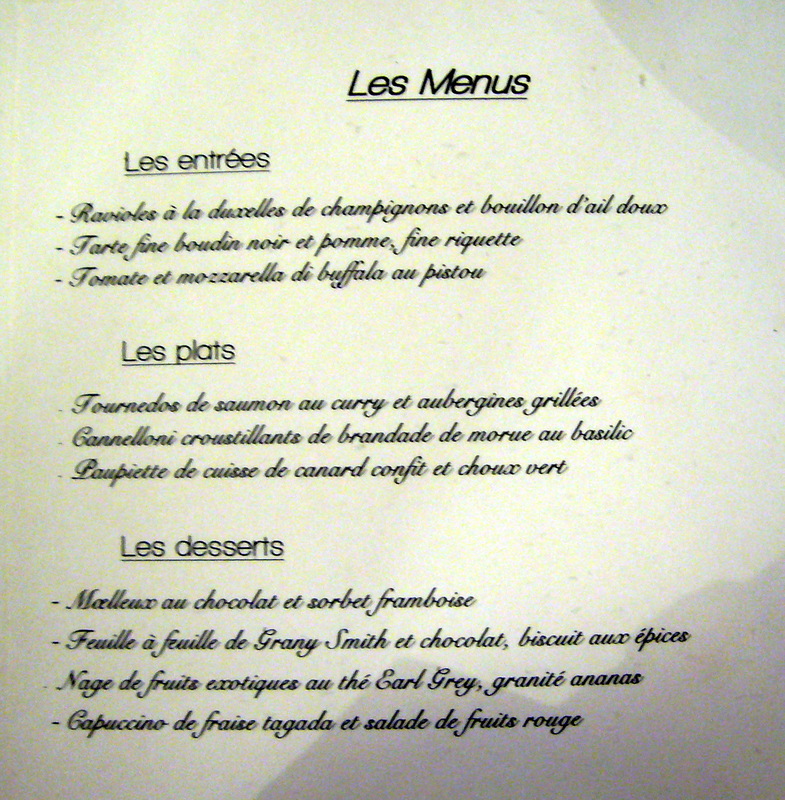 The carte offered a two-course luncheon menu for a modest 20€, but I opted for a single course that was 5€ more. The Pigeon rôti, chutney de fruits exotique et pomme purée proved to be an exquisite bird, but cooked so rare that the calories expended in removing the meat from the bones were approximately equal to those consumed. 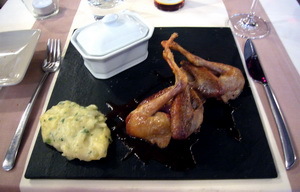 As an added hazard, it was served on a flat slate, so that the slightest misjudgement would have send its juices straight into my lap. But no matter – the succulent meat, the complexly flavored chutney and the superb puréed potato would have been worth any obstacle course. Someone isn’t paying attention to detail; in addition to the silly serving plate, the address on their business card is so pale and tiny as to be illegible. But the waiter met my request for a finger bowl without even raising an eyebrow. With its requisite slice of lemon, it was just warm enough.